This week's Vet Gazette Faculty Spotlight focuses on Dr. Hock Gan Heng, who has been promoted to clinical professor of diagnostic imaging in the Department of Veterinary Clinical Sciences. He was recognized with nine other PVM faculty members at last month's annual Promotions Reception. Dr. Heng earned his DVM degree at the Universiti Pertanian Malaysia in 1993 and later completed his MVS degree at the University of Melbourne, Australia. From there, he moved to the United States to complete his residency and MS degree at the Colorado State University College of Veterinary Medicine and Biomedical Sciences in 2004. Dr. Heng then returned to the Universiti Pertanian Malaysia as a lecturer before joining the Purdue Veterinary Medicine faculty in 2007. Dr. Heng also became a Diplomate of the European College of Veterinary Diagnostic Imaging in 2004 and a Diplomate of the American College of Veterinary Radiology in 2005. Dr. Heng's education prepared him to accept the appointment at Purdue as clinical assistant professor of diagnostic imaging. Three years later he was promoted to clinical associate professor. He is also currently the section head of diagnostic imaging. Dr. Heng commented that his interest in veterinary medicine developed not because he felt it would be easy, but because of the difficulty of the job. "This is a challenging career. We are not only dealing with animal patients, but we also must support their owners," he said. Dr. Heng's research interests include ultrasounds of the gastrointestinal tract, forensic radiology, imaging of neoplasia, and imaging of orthopedic diseases. When asked about his favorite aspect of working at the College, Dr. Heng said, "It is a small college, which allows it to provide a lot of opportunities for students." Outside of work, Dr. Heng frequently enjoys playing basketball and cooking. 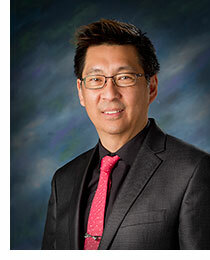 Congratulations to Dr. Heng, one of the ten newly promoted PVM faculty members!